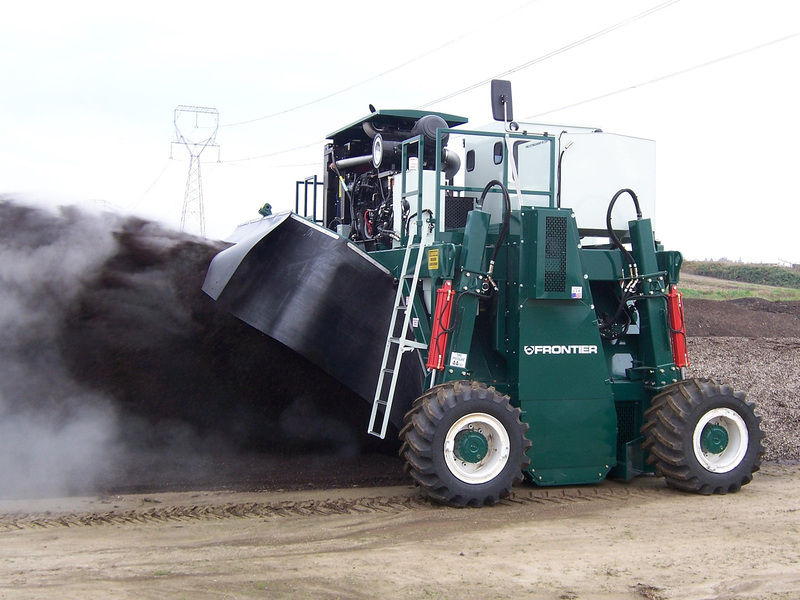 These windrow turners are industrial machines. 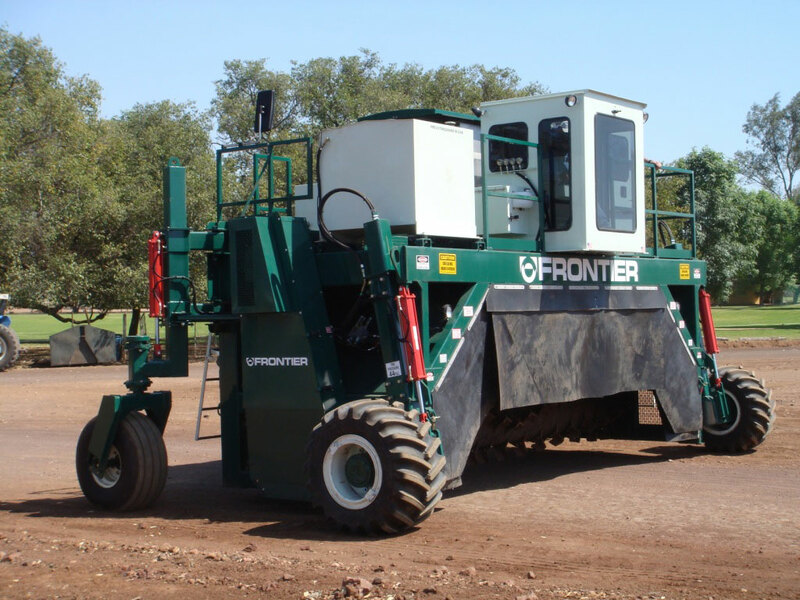 No other turner compares to Frontier’s strength, simplicity, reliability and 24/7 performance. 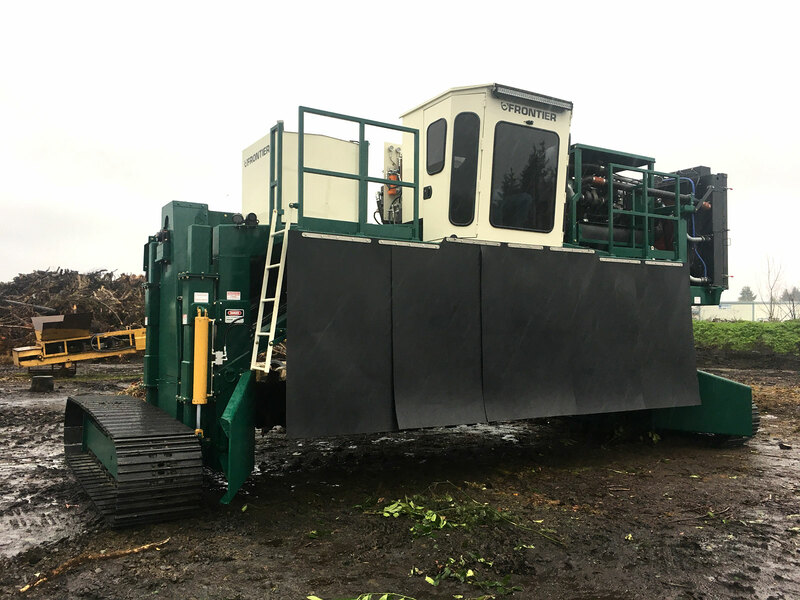 With the dynamic trend toward replacing costly fertilizers and soil amendments, making high quality compost is rapidly becoming a substantial source of income. Homogenizing takes horsepower, but it pays huge dividends. 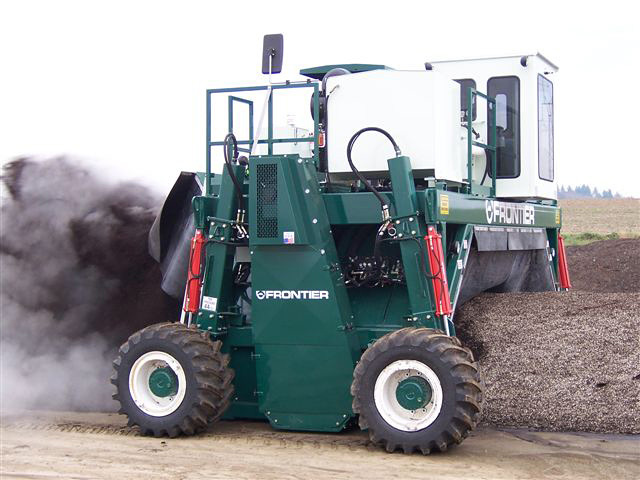 This state-of-the-art series of windrow turners are considered the best of the best. Just ask our customers. 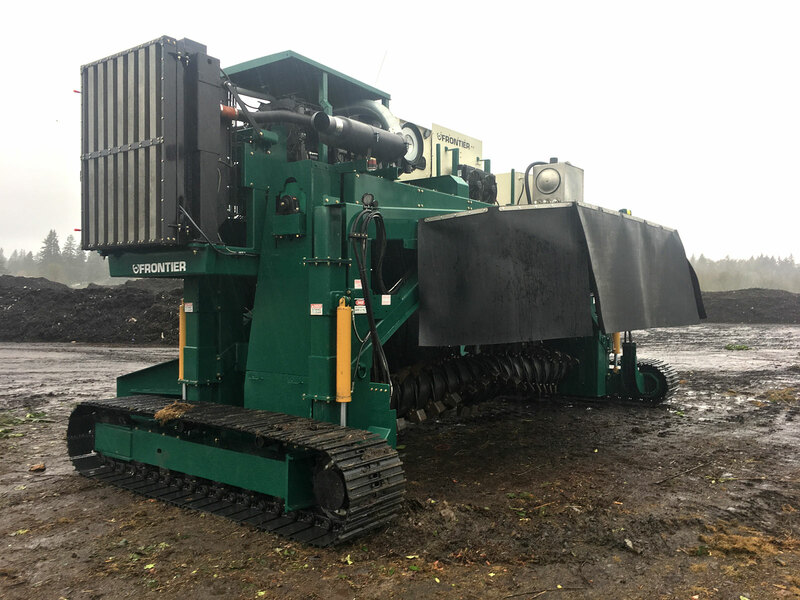 Built like tanks, these turners mean business. 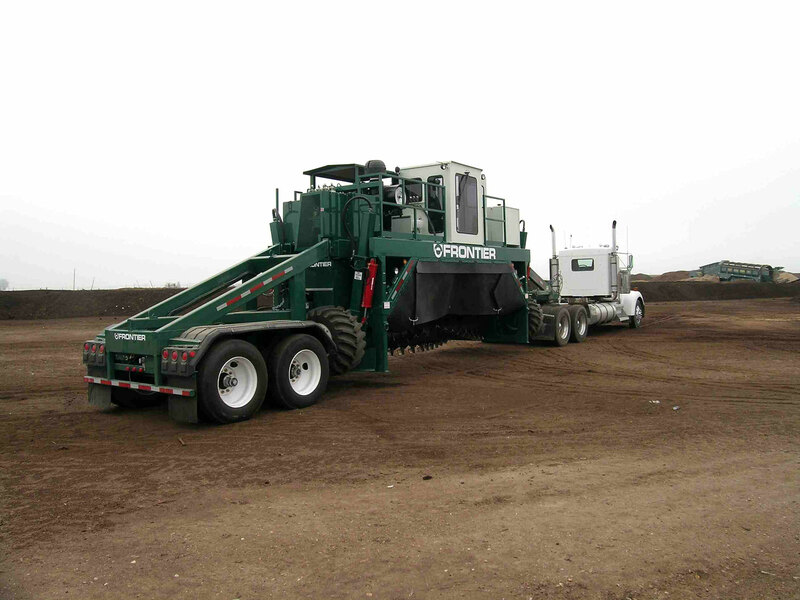 Track system: 24″ wide pads x 12′ long provides maximum flotation and stability on slopes. Planetary drives with integral hydraulic piston motors and brakes. Powerful propel will not stall in any condition. Integral braking is automatic in downhill slope or park conditions. Drum is driven from both ends for even power transfer.